A simple injection mold design checklist, or guide, is an essential tool for the busy mold designer, engineer or injection mold maker. Given the vast number of details involved in injection mold making, it makes sense to keep a checklist handy and see that it is used by everyone involved. With today’s powerful CAD programs it can happen that some very basic things are overlooked, or just taken for granted. With the focus on parting lines, moldflow, gates, runners, slides, water lines, etc, things like tolerances or fit and function can be forgotten. With a guide or checklist the possibility for error is at least diminished. Mistakes still happen, of course, but at least a sound protocol will keep everyone on the same page. Check the design. I once worked with a mold maker from Germany who claimed that he had never seen a mistake on a print the entire time he worked at Volkswagen. He insisted it was because 7 different people checked each print before it was released for manufacturing. Likely his story is exaggerated, but the point remains: check the print. Just because Siemens NX or Solidworks was used doesn’t mean it can’t have errors! Are draft angles included? Mold designers who have never worked as a mold maker tend to overlook this little feature, and it can subsequently cause many molding problems. Anyone who has had to dig out a stuck plastic part from a highly detailed cavity block can appreciate the value of drafted side-walls. Maintain uniform wall thickness. As a general rule, the part wall thickness should be uniform throughout the plastic part. Obviously there are many exceptions to this rule, yet it still holds true in the majority of cases. Distorted parts with sink marks, burn marks or short shots can be typical results of varying wall thickness. Include corner radii. Radii are often used at corners to help maintain even wall thickness. Conditions such as cracking or distorted surfaces can be minimized by using the appropriate radii in corners. This also makes manufacturing easier, and makes the mold stronger as well. Don’t forget the ribs. Ribs should be 1/2 to 2/3 of the desired wall thickness and less than 3X thickness in height. Deep, narrow ribs should be avoided, as they are time consuming to polish and difficult to fill in the mold. Attempting to fill deep, narrow ribs greatly slows down cycle times as well. Ribs should also have as much draft as is tolerable. Consider the weld lines. Weld lines are often one of the weakest areas of the plastic part. Weld lines are also cosmetically unacceptable in many cases. A good mold design considers how to minimize weld lines, when necessary. Remember the mold maker. Don’t forget that the mold makers must be able to manufacture what is designed. From a mold maker’s perspective, it is always comforting to work with designs made by someone with machining experience. Occasionally parts are designed that are nearly impossible to make, costing time and money. Use the proper gate. Every mold has an optimum style and size of gate. It may be a tunnel, cashew, banana, edge, fan gate or a hot runner mold, just make sure the type, size and placement are correct. Mold flow analysis can be beneficial to help determine the gate design. Don’t neglect the runners. Runners may not be the finished product, but they are an essential step along the way. Much study has been done to determine the proper configuration, size, finish, use of cold slug wells and placement. Never underestimate the role of the runners. Don’t overdo the surface finish. Many times mold finishes are called out by default, with no regard whatsoever as to the function of the surface. If the detail requires a polished surface, specify what type of finish is required. If nothing is specified, how is the mold maker to know what finish to leave? Inexperienced or OCD types tend to make everything excessively finished, when in reality it makes no difference. 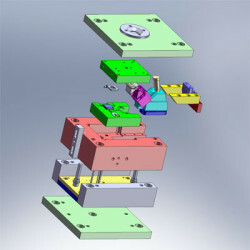 Every mold design department has unique traits and requirements placed upon it. A design guide should reflect the actual needs of the individual shop and become part of the process. 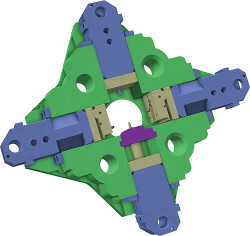 Remember that any injection mold design tips are only as good as the people making it and if it gets used.